The birth of a child should be an experience of wonder, excitement, and joy. Unfortunately, for millions of babies and families who have first-hand experience with cerebral palsy, childbirth is just the beginning of a lifetime of challenges. Michigan cerebral palsy birth injuries are permanent injuries that will not go away with time. 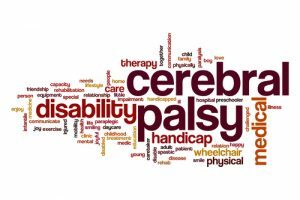 Cerebral palsy is a motor coordination condition that results from damage to the brain. Premature babies who have underdeveloped nervous systems and organs are often diagnosed with cerebral palsy. Cerebral palsy can also occur when an infant’s brain does not receive adequate oxygen because of labor or delivery complications. Individuals with this condition often undergo intense physical therapy and painful medical treatments throughout their lives. They are also assigned rigorous medication regiments to manage pain, suppress seizures, and regulate sleeping patterns. This kind of treatment is not only emotionally stressful for the patient and family, but it becomes increasingly expensive as well. Doctors who fail to detect and prevent the occurrence of cerebral palsy should be held accountable for their negligence. In many instances, your family may be able to recover financial compensation for medical bills, ongoing care, and pain or emotional suffering. To learn more about how to file a claim against a negligent medical professional who may have caused your child’s cerebral palsy, call a Michigan birth injury lawyer at The Thurswell Law Firm today. Our Michigan birth injury attorneys are available for a free consultation anytime. Just call toll free at (866) 354-5544.